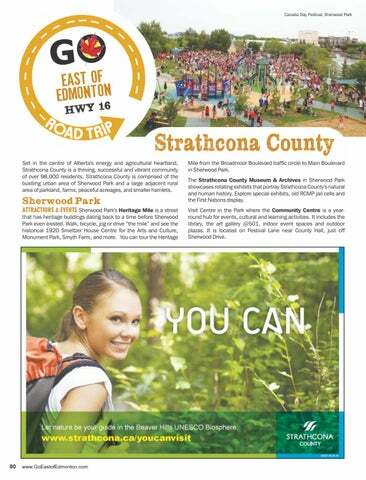 Strathcona County Set in the centre of Alberta's energy and agricultural heartland, Strathcona County is a thriving, successful and vibrant community of over 98,000 residents. Strathcona County is comprised of the bustling urban area of Sherwood Park and a large adjacent rural area of parkland, farms, peaceful acreages, and smaller hamlets. Mile from the Broadmoor Boulevard traffic circle to Main Boulevard in Sherwood Park. 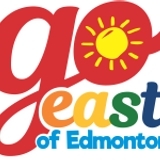 Visit Centre in the Park where the Community Centre is a yearround hub for events, cultural and learning activities. It includes the library, the art gallery @501, indoor event spaces and outdoor plazas. It is located on Festival Lane near County Hall, just off Sherwood Drive.